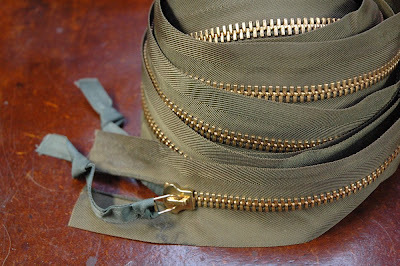 Aesthetically, this zipper is quite striking, but it is the metrics of the scale that are truly amazing. I thought it was a mere 10 feet long, but it is a full 21 feet of zipper and weighs an astonishing two pounds. That doesn't sound that heavy, but I urge you to weigh your heaviest zipper and report back.